« Where Can I Rent a Cargo Van for One-Way Transport? Moving in Miami: Do I Need to Rent a Cargo Van? The 11-foot van comes in a regular height as well as a roof that is extra high to fit your tall items. You can pick up your van at one location and return it at another Sixt rental location. Insurance is offered at the time of rental if it is not included in the price. Their cargo van is a cost-effective solution to moving and might be right for the college move or a family move with a small amount of furniture. Call them to find out about their cargo vans in Miami; the website mentions trucks, but they do have cargo vans at some locations. Very Good Service! I rented a cargo van from Carl’s Van Rentals. They always have what I need when I need it. I rent from them fairly often and they always come through for me. The vans are equipped with everything I need and more. There is enough room for everything that I need to haul. Very good service! Located near downtown Miami, U-Haul offers a cargo van that starts at $19.95; however, extended miles or longer term rentals may cost more. They recommend their cargo vans for college moves, studio apartments or small loads within the city limits. Their van vehicles include GMC and Ford vans. The inside height of their van is 4’7″ and the back door height is 4′ 1.5″ This van can hold a queen size mattress. 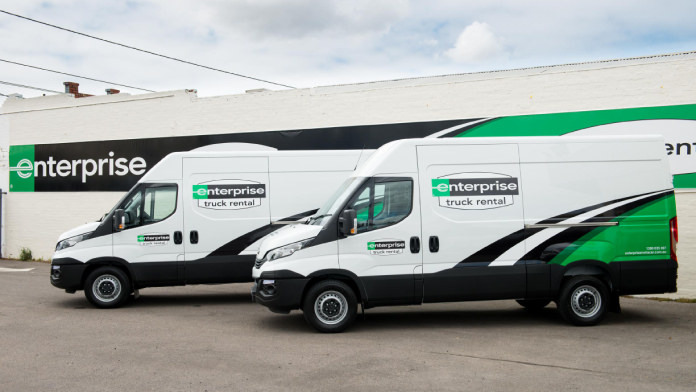 Both Ryder and Enterprise have cargo vans for rent in Miami. You can find some hints by U-Haul on moving with a van that might make your move easier. They even show how much can be loaded onto their van. If you have lots of tall furniture, you might consider a van with a high roof. Several companies offer this option. No commercial license (CDL) is required when you rent a cargo van. Know all the costs involved before you drive away from the rental agency with the van. Most cargo vans can fit in a regular parking space and are great where parking is limited in the city. Remember to ask friends to help you; don’t try moving by yourself as furniture may be heavy and require two people to carry. Recruit friends and family to speed up the moving time as well as lighten the load. Before you pick up your van, make sure that furniture is taken apart and ready to pack. Take off table legs, take apart headboards and bed frames. Load the largest and heaviest items first, such as chairs, couches, tables, mattresses, etc. The lightest items should be loaded last. This is true with a cargo van or a truck. To learn more about using a cargo van for your move, go to the U-Haul Moving Insider site to find out more about smaller moves, height restrictions, parking and more. The question of whether you need to rent a cargo van is answered with a yes if you are thinking of trying to move your belongings with a pickup truck. A van is a better solution for moving in Miami, as it protects against the elements as well as theft and damage. Make a move smarter in Miami with the use of a cargo van, if your move requires less than a truck but more than a pickup. Vans are easier to drive and more cost-efficient than a rental truck, and that may be quite important to some people.